All credits go to the Numix team. 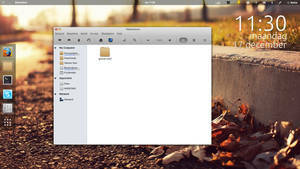 Should work with gtk 3.6 and above, only tested in cinnamon with gtk 3.8, gtk 3.10 and some basic testing on gtk 3.12. - Contains a xfwm4 theme! - Removed the dark theme. What is the Cinnamon theme used in the screenshot? I love your theme. It matchs perfectly with Cinnamon. Thanks a lot. By the way, I make some changes to make a complete theme base on your work. I would like to share with you so can upload. Thank you Anyanka. Send me a link to it on Microsoft GitDropDrive or so. 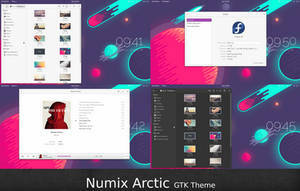 I made a new version of this theme based on a more recent version Numix to make it work with the latest versions of GTK, but I have been to lazy to test and upload it. Maybe I will merge your improvements with this new version. Please include some documentation about what you changed. Once again, thanks for your amazing job. thanks for making computing beautiful ! 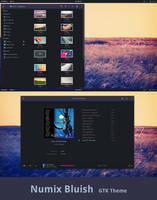 Great theme, but i have the following black columns problem under Ubuntu 14.10 (and 14.04) using Rhythmbox. Hey, the theme is awesome. 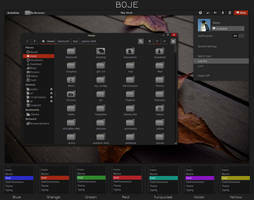 I use it in unity and I can say it is the best theme I've ever seen. Can you tell me which Icons and OS you're using? 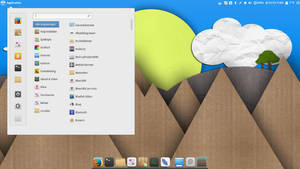 Thank you for you awesome comment I dual boot Linux Mint Cinnamon and Manjaro Cinnamon. The icon theme is moka. 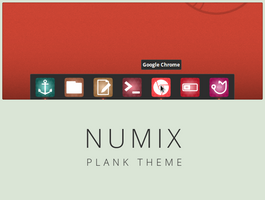 The theme is fantastic overall (a lot better than numix to my eye!) but I have a slight problem with Audacious (a music player). It doesn't properly display text like time and other info and the slider is not too good looking. I tried to tinker it myself but even though I know css and stuff the gtkrc was absolutely gibberish to me. I would be delighted if you can point me to the right direction or fix this. Also what I forget to put in the pics was that the Audacious' menu's ticks are barely visible without hovering on them and the preferences window is unreadable too. Other themes work pretty well with it but the slider looks pretty awful with them though. edit: Transmission (a torrent client) has a similar problem with its dropdown menus and other text ( for example the preferences window is undreadable too). It's probably the same bug. Sadly everything looks fine for me. i.imgur.com/vJkfSUZ.png I opened it in GTK 3.8, 3.10 and 3.12. 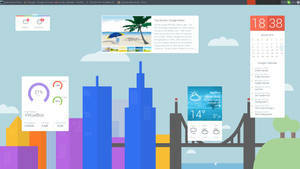 Make sure you're using the latest version of this theme. 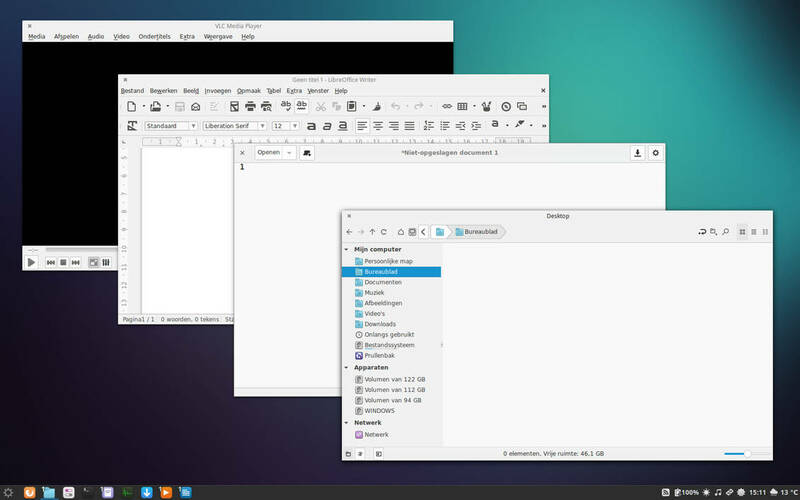 What version of GTK and what OS do you use? Just what I was looking for, it's perfect. 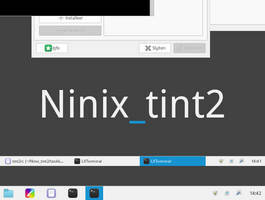 It would be splendid if you made something like Ninix tint2 theme based off this - kexolino.deviantart.com/art/Nu… with those colors, would definetly make my Openbox setup perfect. great theme! 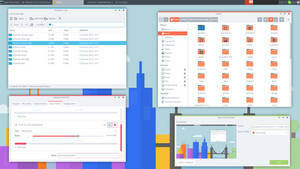 Any chance you could update the openbox theme to use light colors as well? 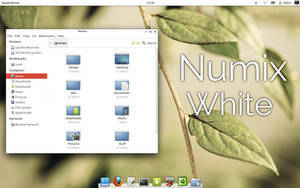 I installed openbox especially for you tell me if you notice any glitches because I’m not really familiar with that wm. I haven't noticed any glitches so far but I will keep an eye out and let you know if I find any. Very nice! A simple, flat theme without the annoying orange! Since numix did the heavy lifting I will be sending a few bucks thier way. 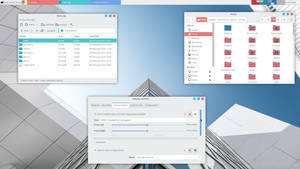 I went through the trouble of creating a new account (after deactivating my old account ages ago) just to tell you this is the best light GTK theme I've ever used and I cannot thank you enough for it. I've been searching for over a year for a theme just like this and I'm so glad I found it. 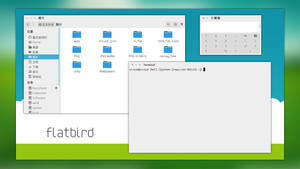 I use an Arch-based distro (Manjaro) so I'm kinda worried about the theme breaking in the future with GTK 3.14 and up... do you have any plans on continuing this past it's current state? I try to keep it as close as possible to the original Numix so I can keep it up to date easily. 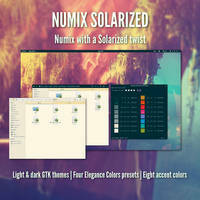 If you would find problems in the theme who are not in the original Numix theme, or if gtk 3.14 lands and I haven't updated yet, just let me know and I'll see what I can do.